How to install a Talisman theme? : 1) Start Talisman Desktop. 2) Drag and drop the downloaded ZIP file in any (free) place of Talisman Desktop. Installation procedure will be started automatically. some 20 icons of the most popular social networking sites. what can we do without them right? 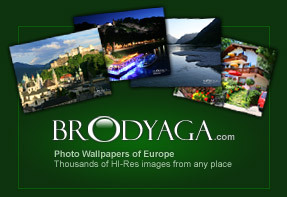 available in PNG and ICO formats for your dock or bookmarking needs. hope you enjoy and find some use for it. Description: 50 software icons in PNG, WIN and MAC formats. my 2nd 3d cartoon pack. similar style just a different 3d rotation, and a few additional icons not found on the first one. icons comes in PNG, ICO and ICNS formats. you can also get this icon pack in cdrom of windows100% magazine (japan) january 2007 issue. i did this like weeks ago. i planned this to be a part of a bigger pack but because of huge workload, i wasnt able to complete it. 6 icons only (5 office + 1 msn messenger) in PNG ICO and MAC formats. improve the style and highlights a bit. plus added 3 office icons for those windows users needing access, one note, and frontpage. new dock icons set inspired by a hockey puck. 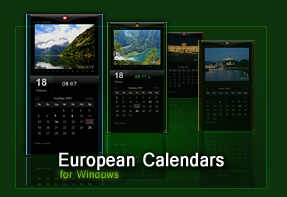 both for PC and MAC. you can also get this pack in the cdroms of macfan magazine(japan) october 2006 issue, and on windows100% (japan) january 2007 issue. 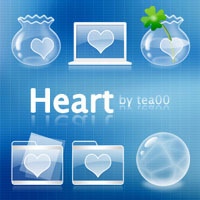 Description: Here is a complete set of Windows 7 Icons extracted from Windows 7 RTM (Build 7600.16385). Icons Pack contains 227 Hi-Resolution icons extracted directly from Windows resource files. All the icons are in their original .ico format. Description: 6 icons 16/32/48 pix. 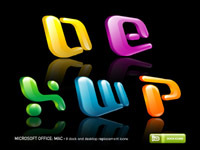 Description: I created a custom Windows XP / Vista Icon pack (57 icons). Just the way I like it! Hope you like it to!